Vaccinating your pets will help with their long-term health. The key is recognizing the appropriate vaccines for their well-being and ensuring that your pets have the right options for your lifestyle. A veterinarian in our clinic helps you clarify your options and select the right vaccinations for your pets. Pet vaccinations are products that help your pet build up immunity to common health risks. They encourage your pet's immune system to build up antibodies to certain bacteria or viruses. By exposing them to the virus or bacteria, you reduce the risk of your pet facing health problems in the future. Why Vaccinate a Dog or Cat at Different Stages of Life? The reasons you vaccinate a dog or cat at different stages of life is to prevent illnesses. It builds up your pet's immune system and allows you to improve the quality of your pet's life. It saves the lives of pets each year by preventing sickness when your pet is exposed to certain viruses or bacteria. 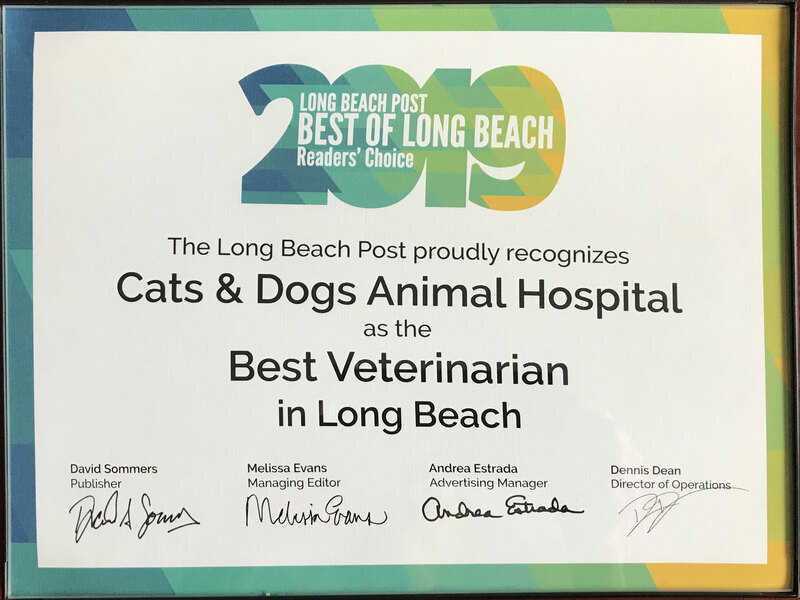 The vaccines we offer in Long Beach depend on your pet's health and your lifestyle. We provide core vaccines to every dog or cat. Core vaccines are required by the state and are designed to address common sicknesses. For example, we provide distemper vaccines and rabies vaccines as part of the core vaccinations for your pets. After providing the core vaccines to your pet, we may recommend additional vaccinations. For example, we may suggest vaccines against kennel cough if your pet will spend time in a kennel when you travel. We also suggest vaccines for pets that may spend time outdoors when you go camping, fishing or hunting. Since your pet has a higher risk of exposure to certain conditions, we recommend vaccines to limit the risks to your pet's health. A veterinarian in our clinic helps you select a vaccine or series of vaccines for your pets by discussing your situation. We ask about your lifestyle, the potential risks to your pet and your behaviors with your pet. We also ensure that your pets have a schedule for core vaccines to keep up with the state laws. The schedule depends on your pet's health and age, so we develop a personalized option for each dog or cat's unique needs. Keeping your pets healthy starts with proper vaccinations. By working with a veterinarian in our clinic, you will have solutions for your pet's health and well-being. For more details about the vaccines we offer to dogs and cats or to set up an appointment in our clinic, call 562-439-4228.